Gardeners have always loved double impatiens’ beautiful, roselike blooms. 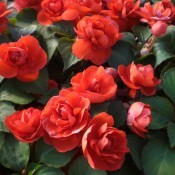 Our Double Delight Impatiens Series are very floriferous with large double blooms and are available in a many colours. They are well branched and have a compact, mounding growth habit. 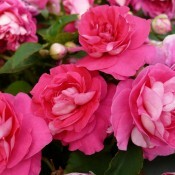 They are excellent for pots, window boxes, mixed containers and hanging baskets in semi-shaded areas. Double Delight Impatiens Orange has spectacular double orange blooms. It has a compact, mounding growth habit which makes it superb for hanging baskets, flowerbeds, mixed containers, window boxes and planters. 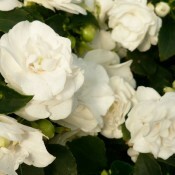 Double Delight Impatiens Pearl White has spectacular double pearly white blooms. It has a compact, mounding growth habit which makes it superb for hanging baskets, flowerbeds, mixed containers, window boxes and planters. 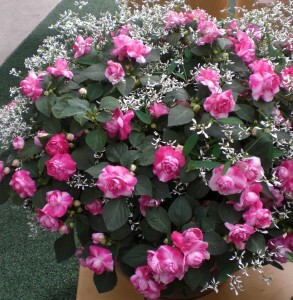 Double Delight Impatiens Pink has spectacular double dark pink blooms. It has a compact, mounding growth habit which makes it superb for hanging baskets, flowerbeds, mixed containers, window boxes and planters. 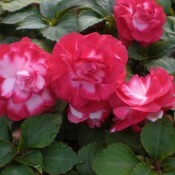 Double Delight Impatiens Starlight Red has spectacular double red and white bi-coloured blooms. It has a compact, mounding growth habit which makes it superb for hanging baskets, flowerbeds, mixed containers, window boxes and planters.